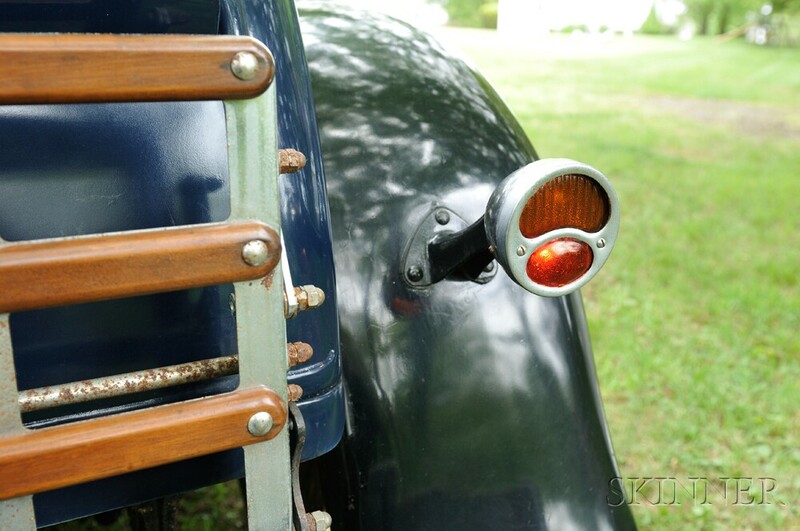 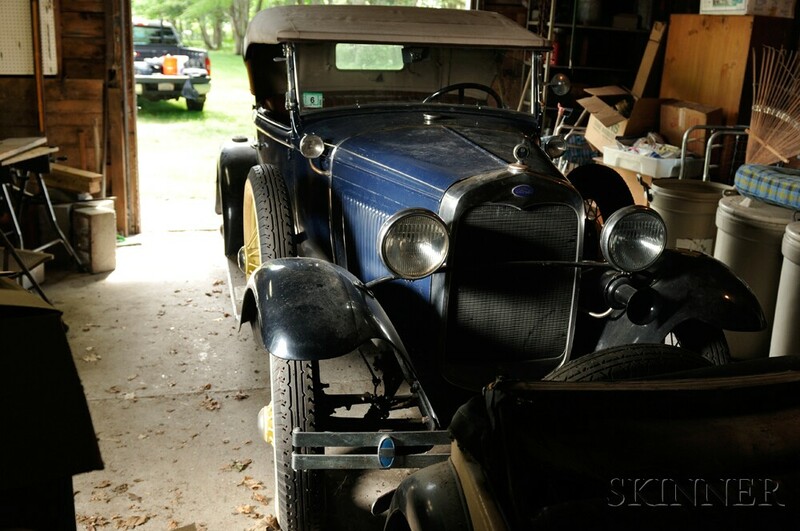 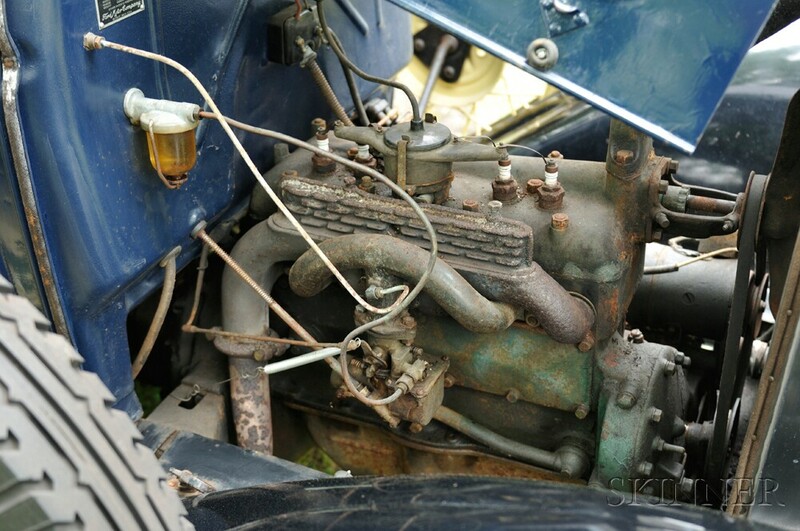 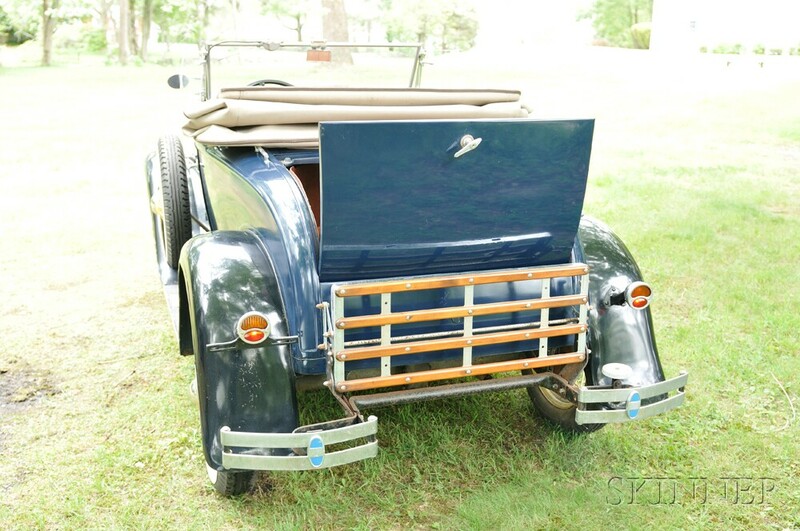 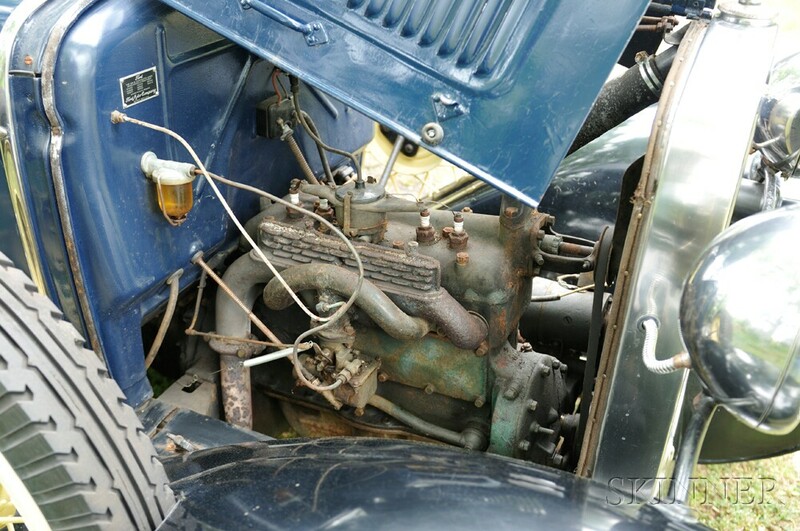 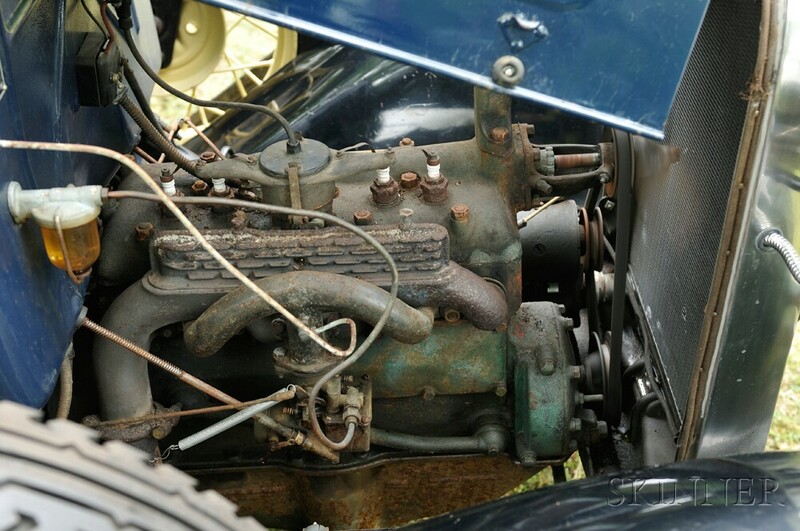 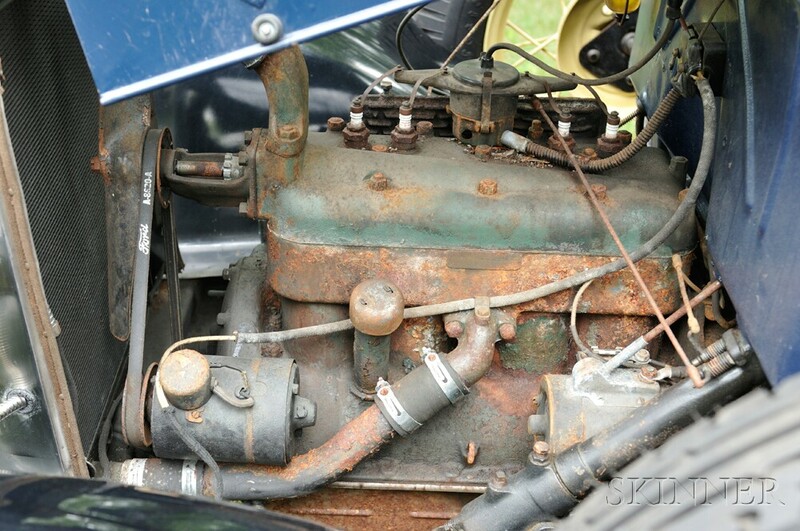 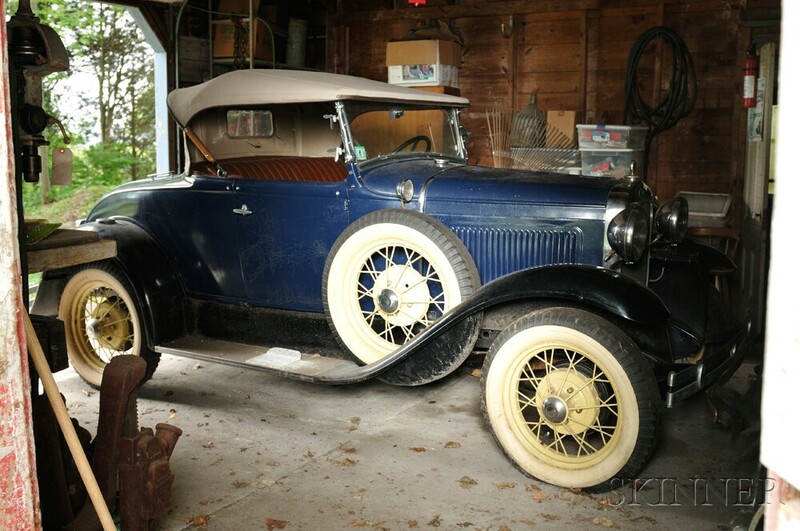 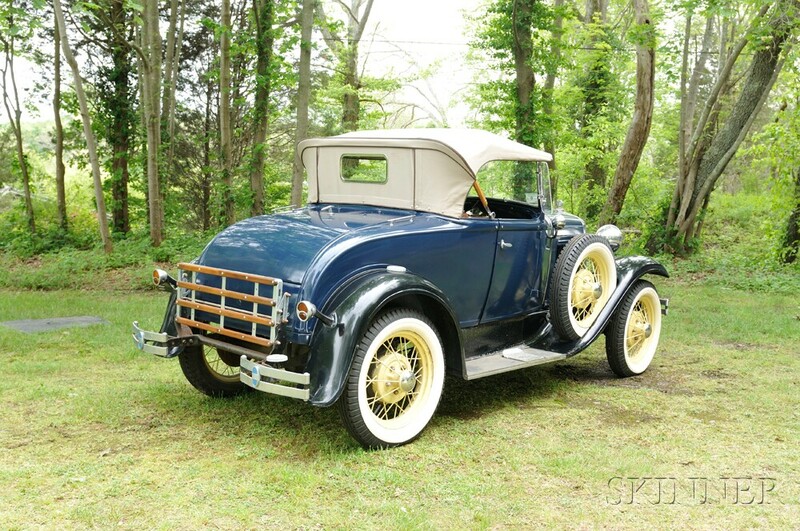 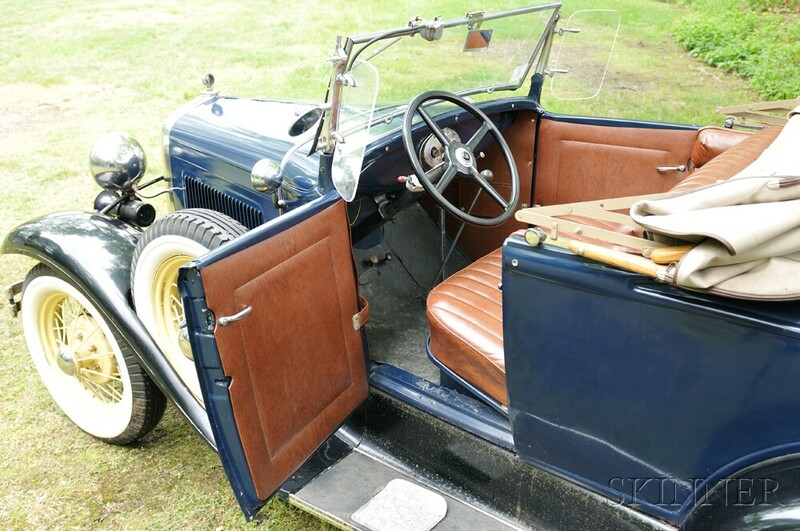 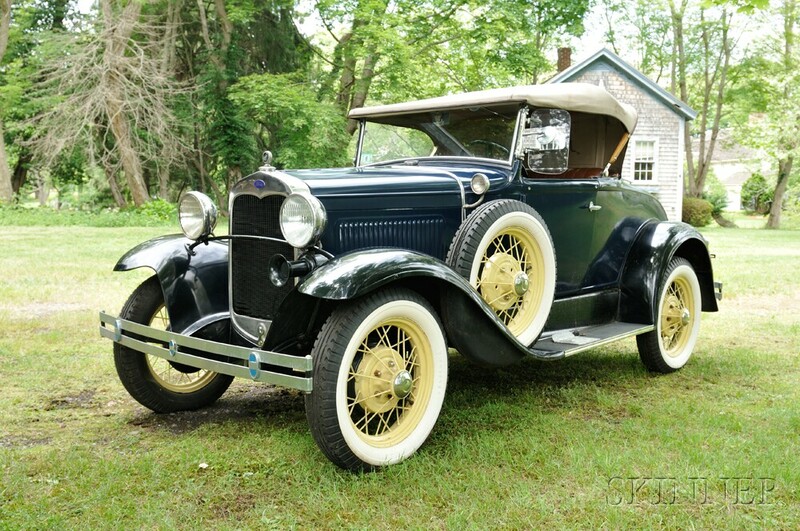 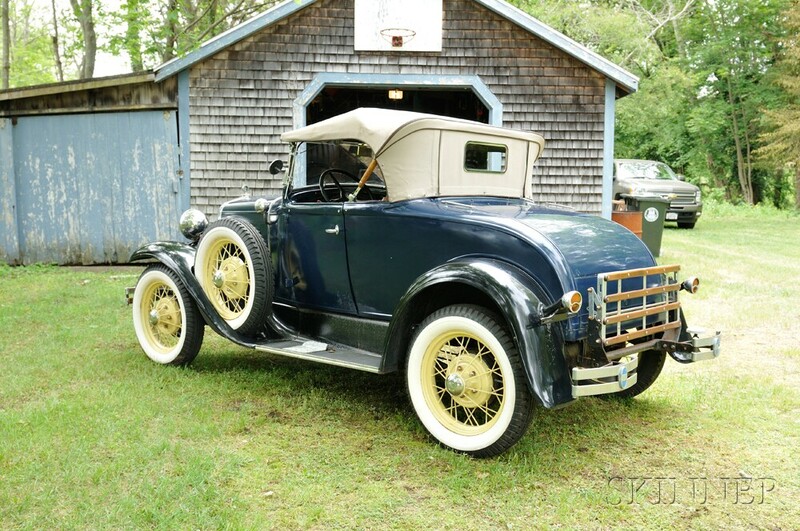 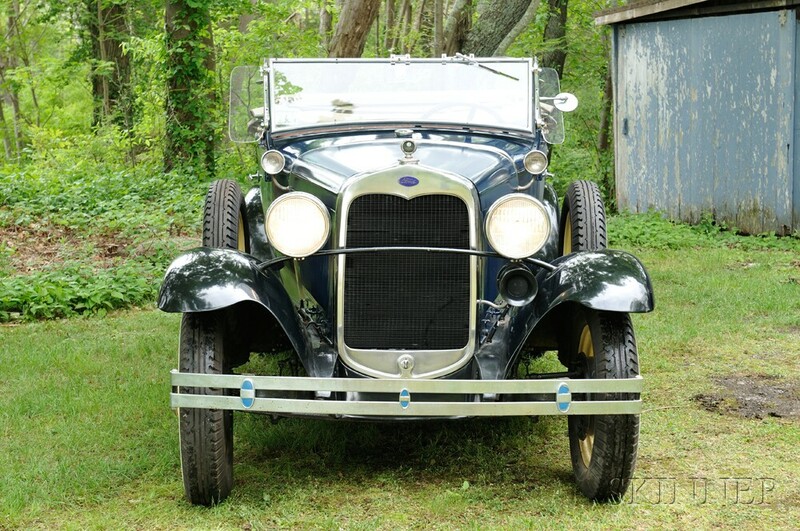 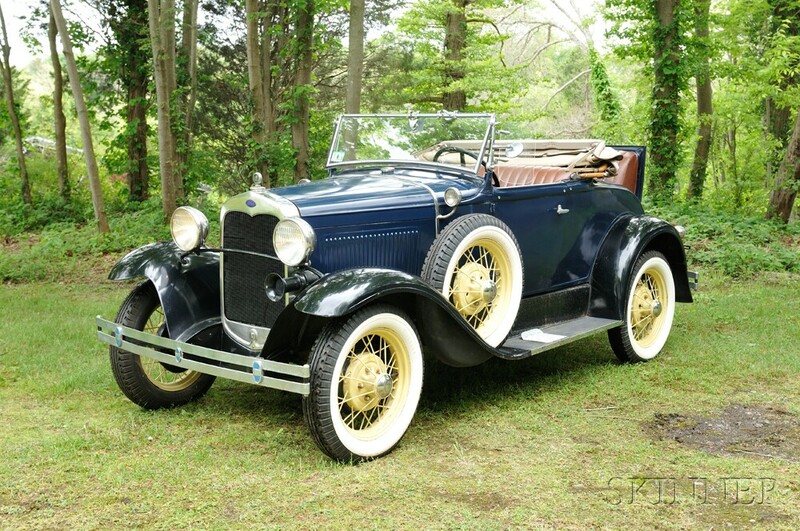 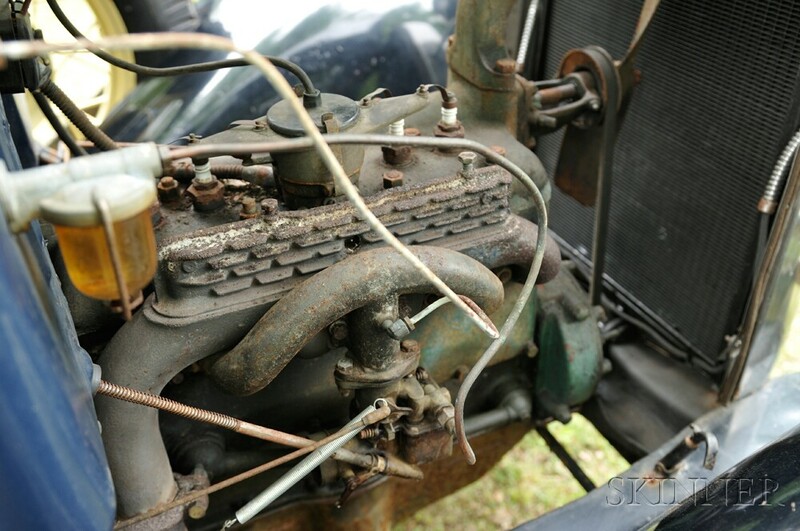 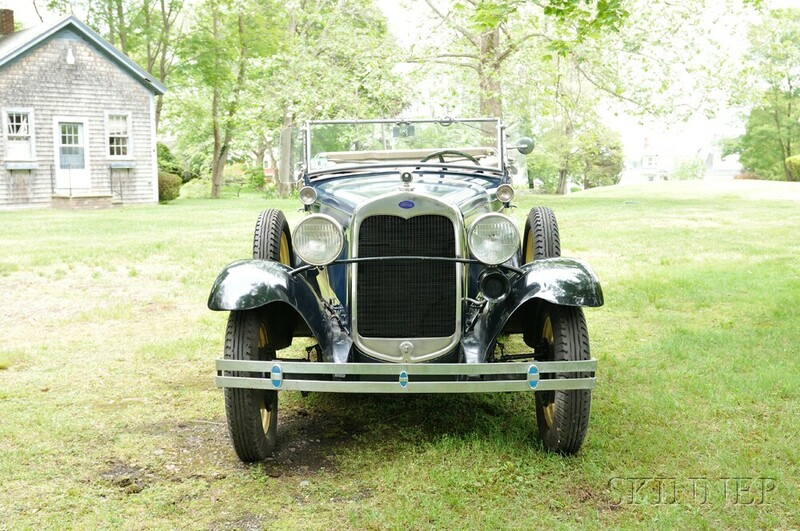 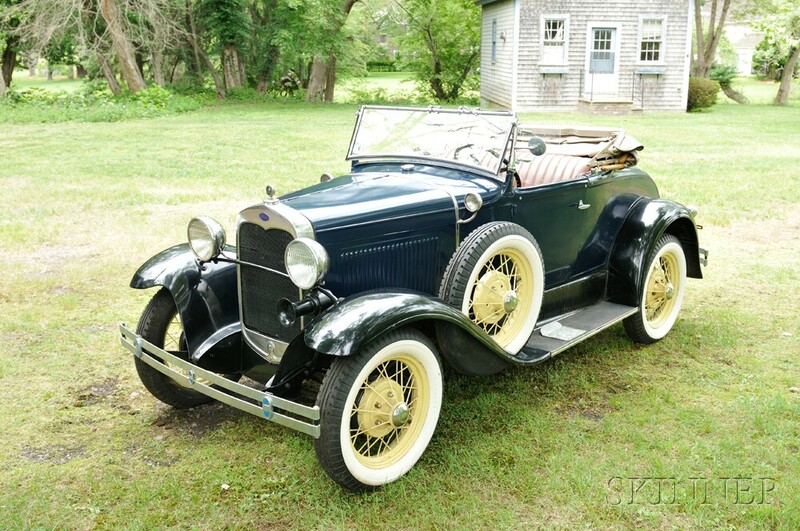 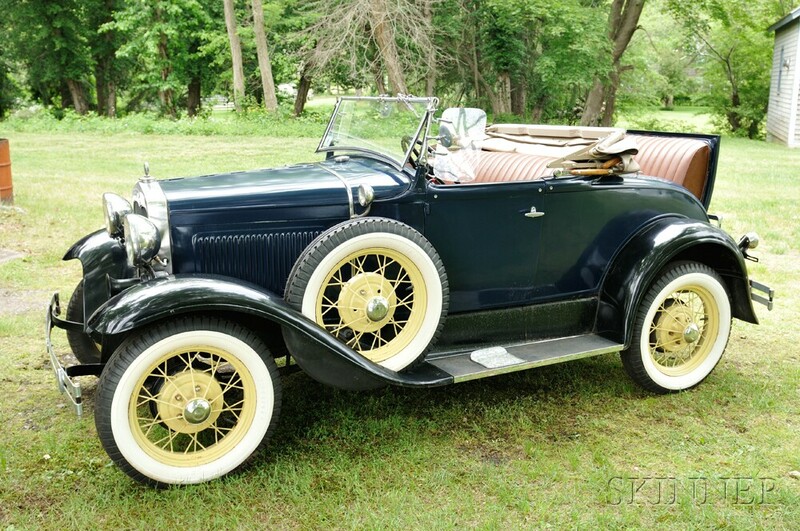 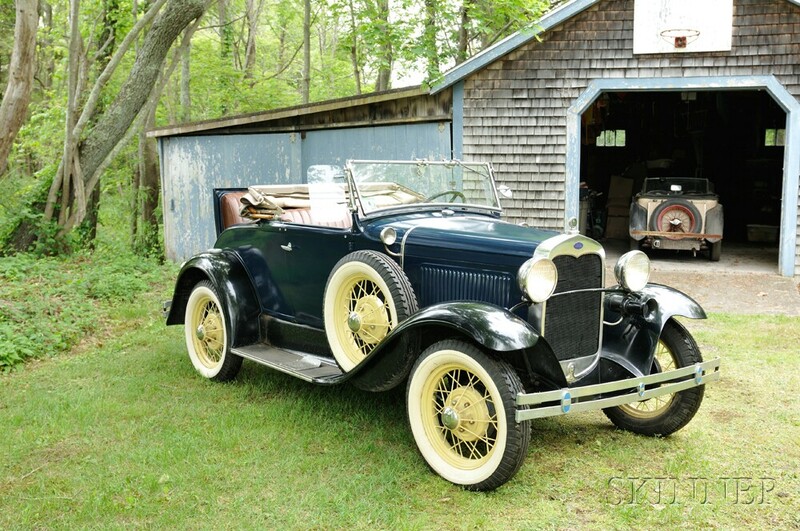 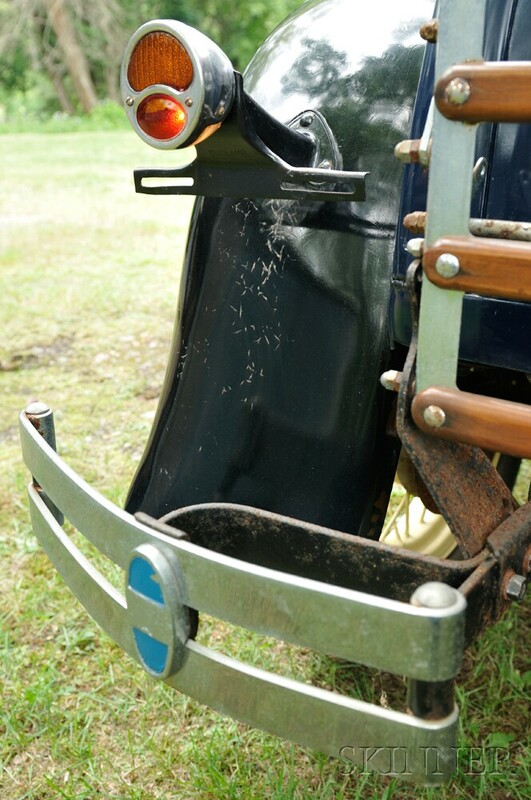 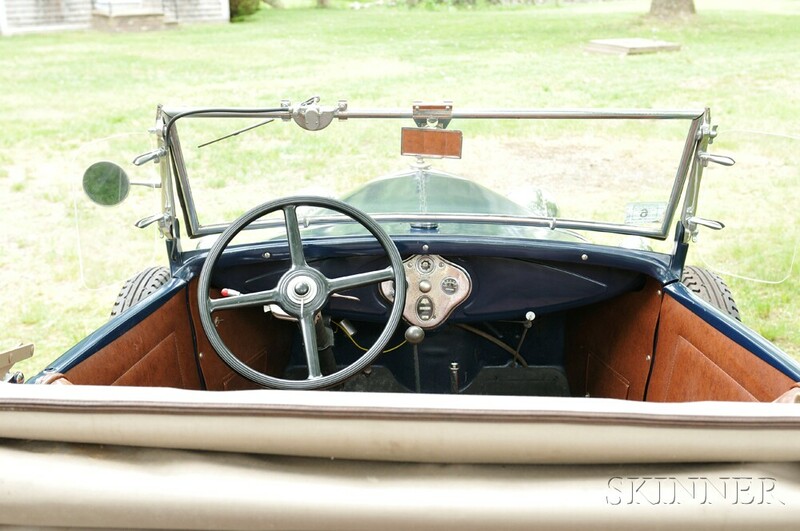 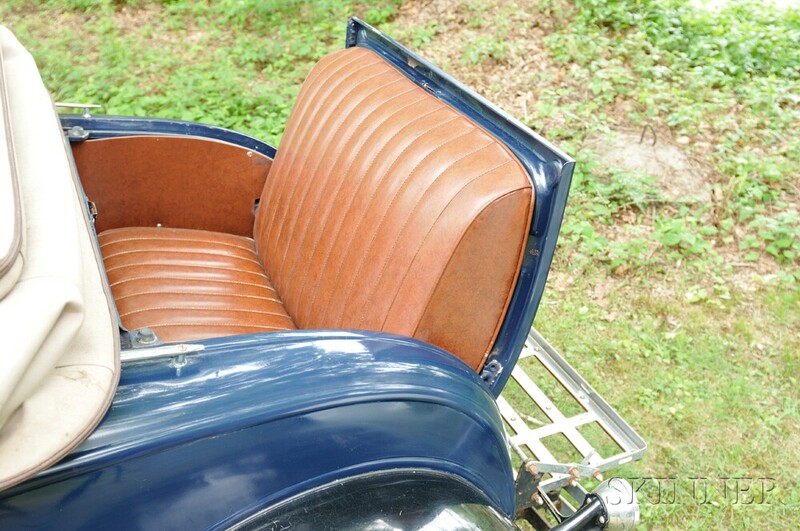 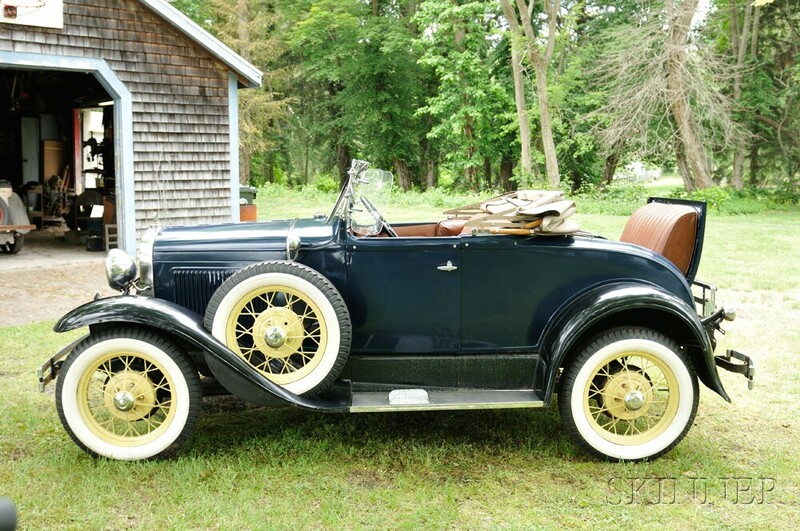 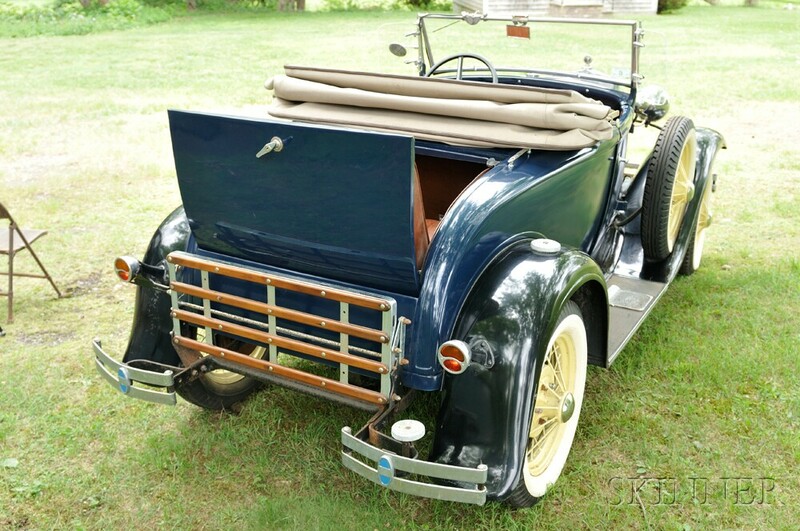 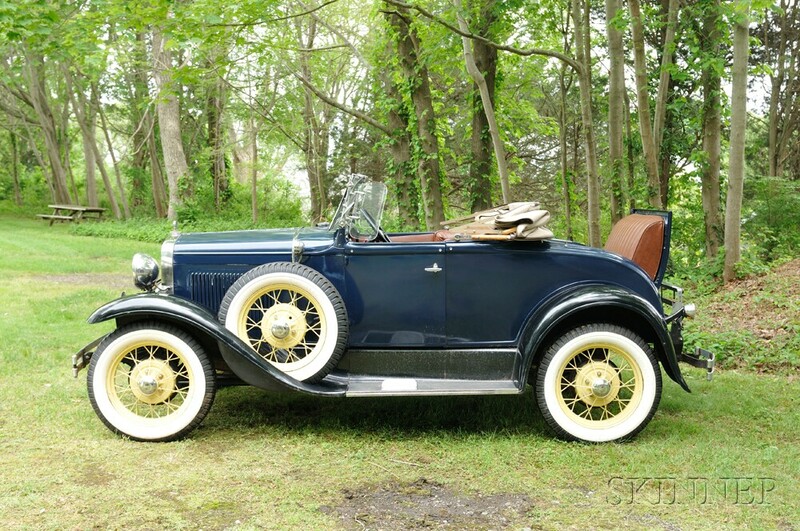 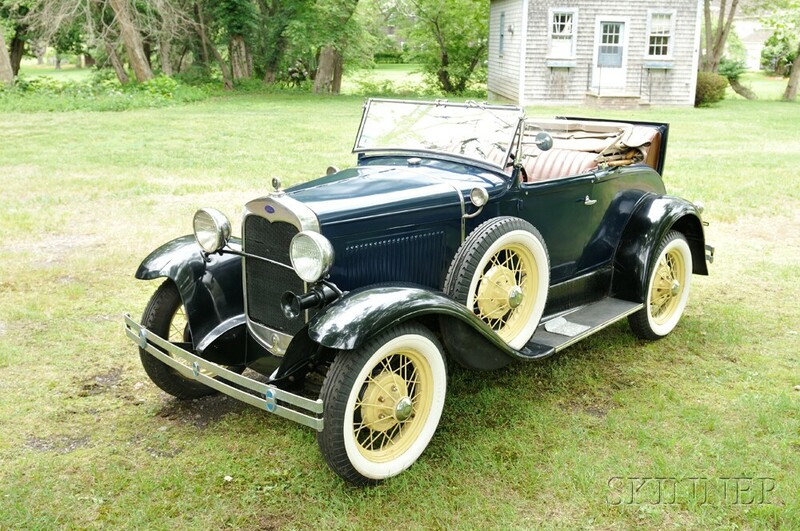 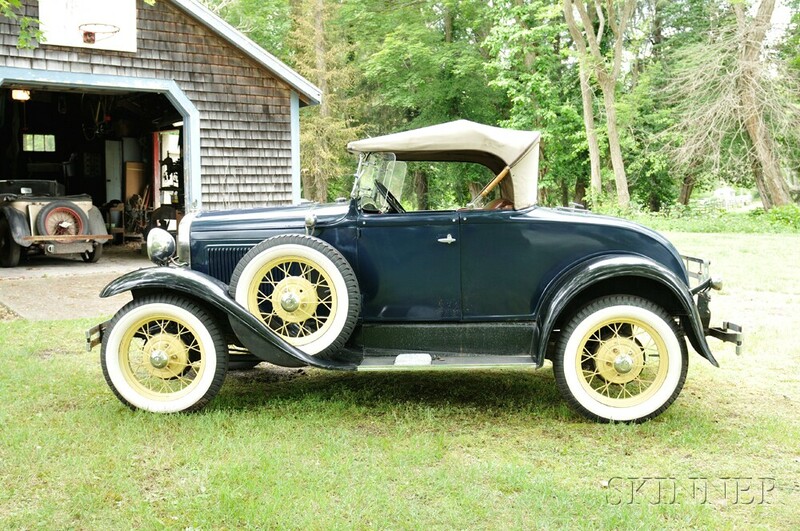 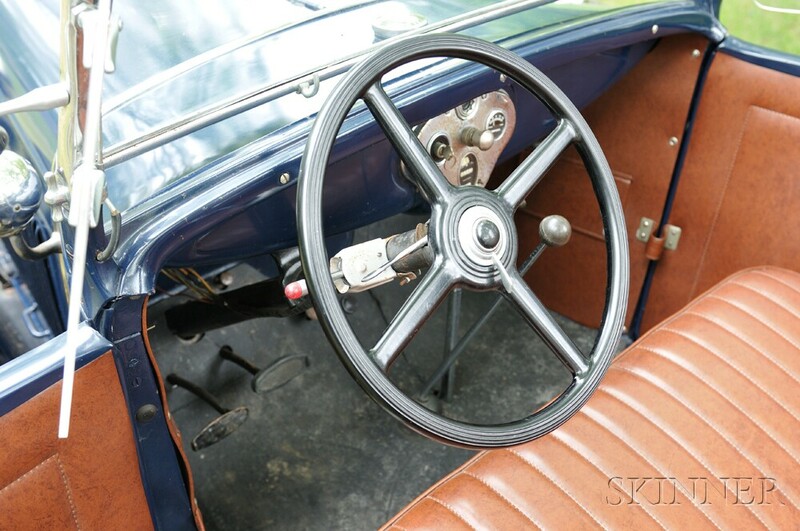 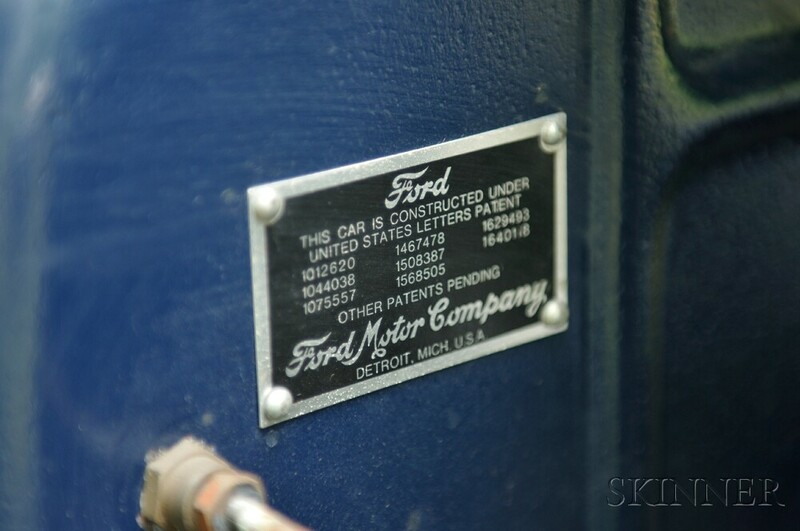 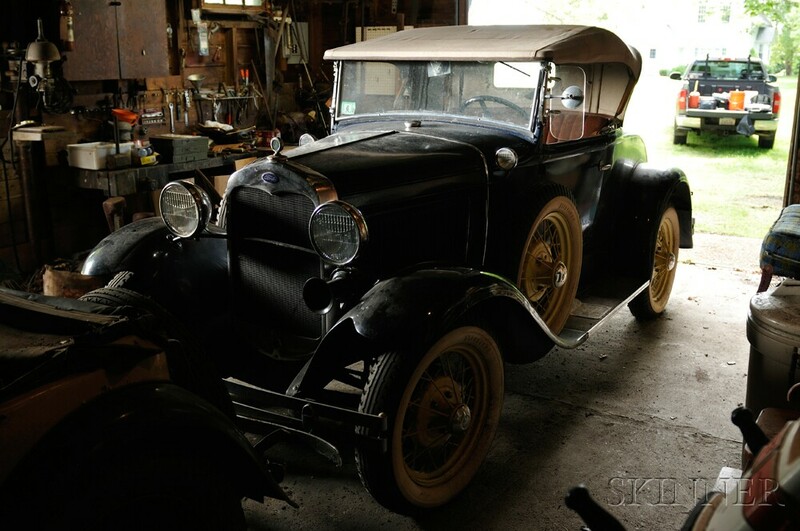 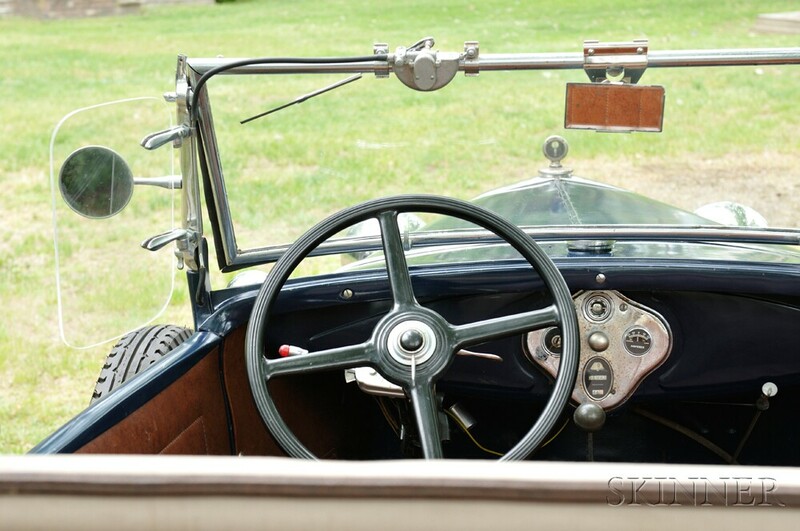 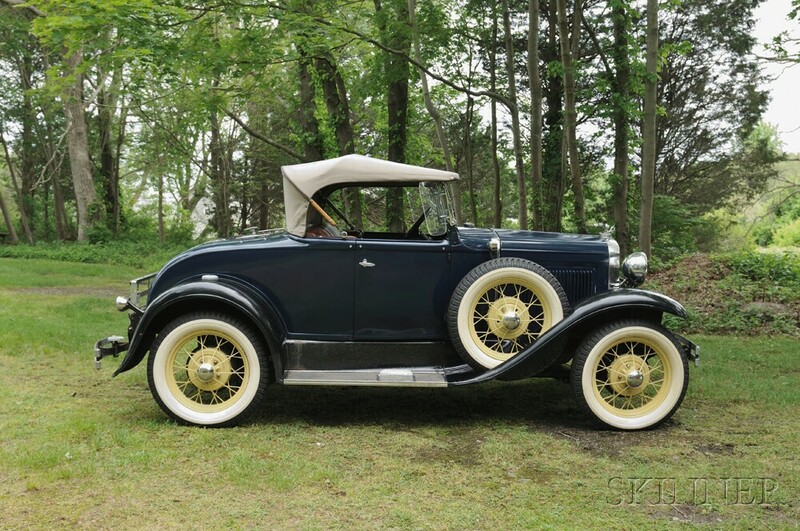 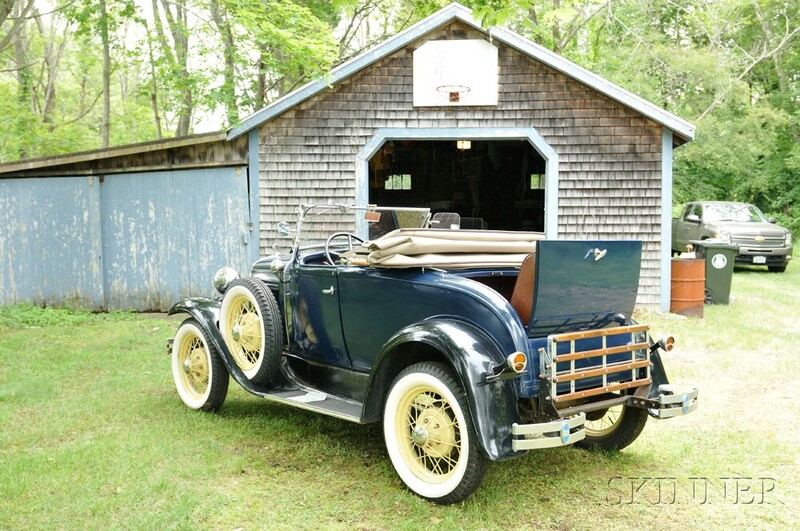 1930 Model A Deluxe Roadster, VIN #A2645107, odometer reads 54,993 at time of cataloging, running, 4-cylinder, 3-speed, new battery and replaced starter motor, rumble seat, blue exterior, paint crazing, luggage rack, black fenders, straw wheels, barn find, had been sitting, not restored, please have your mechanic review prior to driving on the road, titled. 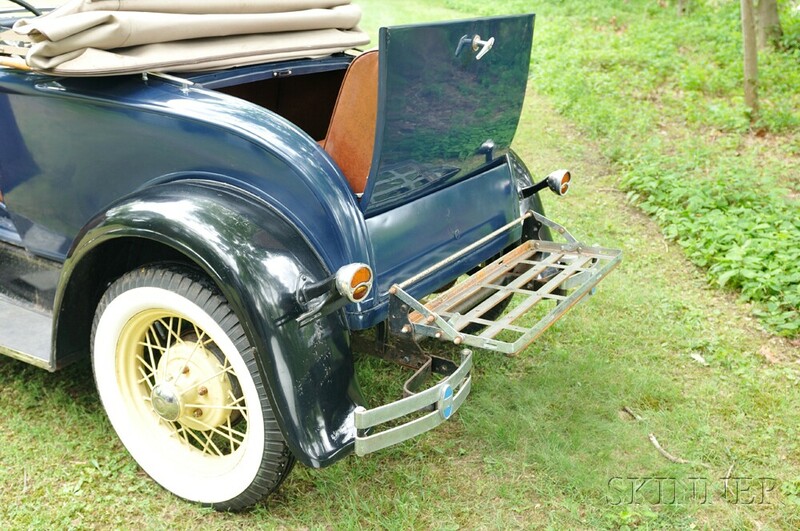 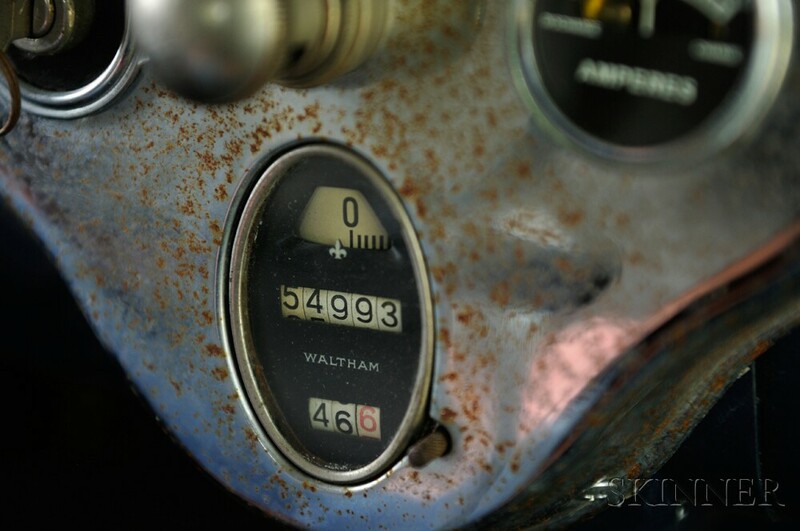 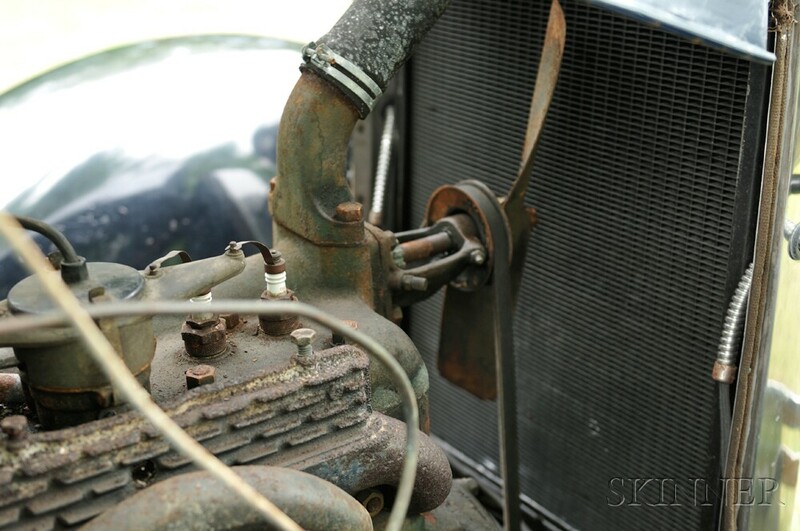 Note: As with all our vehicular offerings, you may have your mechanic or professional automobile restorer make an assessment of the automobile for you, prior to purchase, to assess if it meets your criteria. 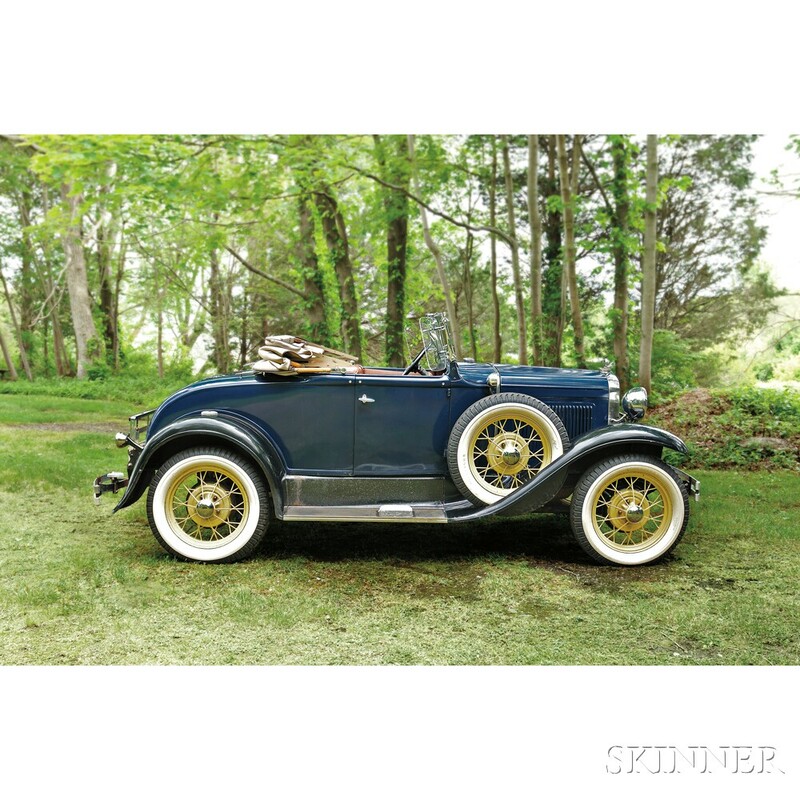 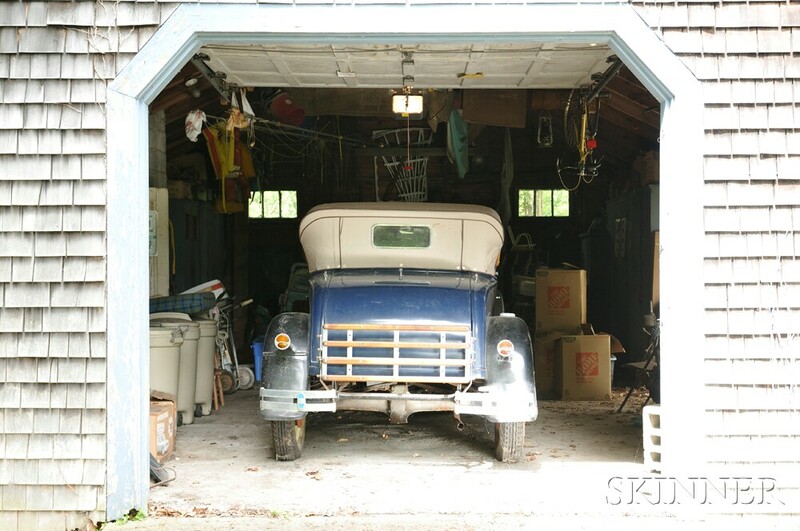 Inquiries: Contact Jane Prentiss at at 508-970-3253 or jprentiss@skinnerinc.com. 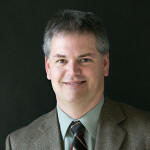 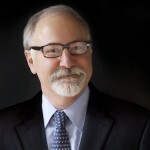 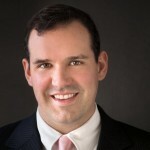 Finance: Contact William Madden at 508-970-3266.